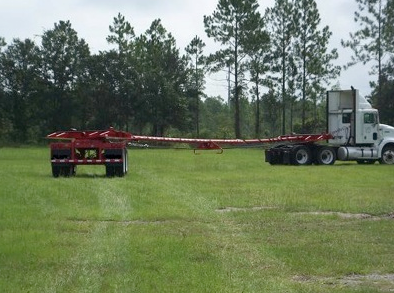 Our Challenger pole trailer is perfect for renting. Call today for a nice work horse. Pipelaying becomes much easier with our Challenger Pipe Carrier PC-40 equipped with PC-40 attachment & pipe saddles, 20 ton capacity. The 20 ton capacity can haul everything you need at a faster rate, helping you complete your project faster. Marooka MST-600 with Cab, Capacity 7,250 lbs. Marooka MST-800 with Cab, Capacity 9,500 lbs. 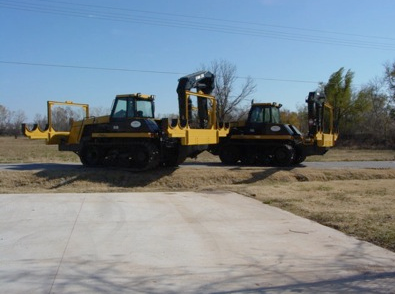 Marooka MST-1500 with Cab, Capacity 14,000 lbs. Caterpillar D6D LGP Pull Tractor, 36″ pads and tail winch. Caterpillar D7G LGP Pull Tractor, 36″ pads and Tail Winch.